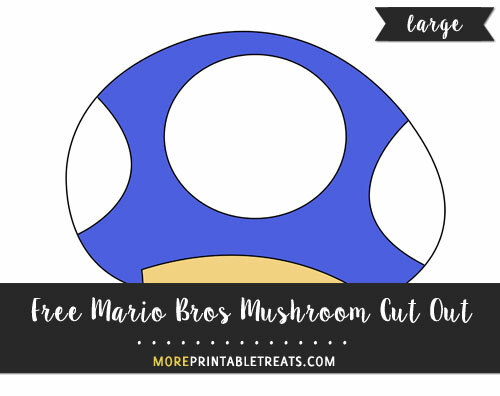 Print this blue Mario Bros mushroom cut out (large size) that’s already colored and ready for use on posters, scrapbook pages, and cards. In this download there is one PDF page with one large-size Mario Bros mushroom cut out on it. It is colored blue and tan and is great decoration for Super Mario themed projects. You can print the cut out on a sheet of 8.5×11 inch computer paper and it will take up nearly the entire page. I have also posted this cut out in multiple sizes (small, medium, large). To find them, search for “blue Mario Bros mushroom” in the Colored Cut Outs category.